lunch/dinner | I Should Cocoa! Sometimes you seek comfort in a meal with friends to get over a break-up, sometimes to seek refuge from stress, and sometimes to celebrate something wonderful. Or, as a recent get together proved, for all three. In such a setting, the only suitable meal to accompany copious glasses of wine and frenzied let’s-just-getaway-from-it-all planning is comfort food. Comfort food that is heart- and tummy-warming, a suitable base for self-medicating/rewarding with alcohol, and makes you feel indulgent and pampered. Our meal fit the bill on all accounts and even got us pumped for that getaway adventure. 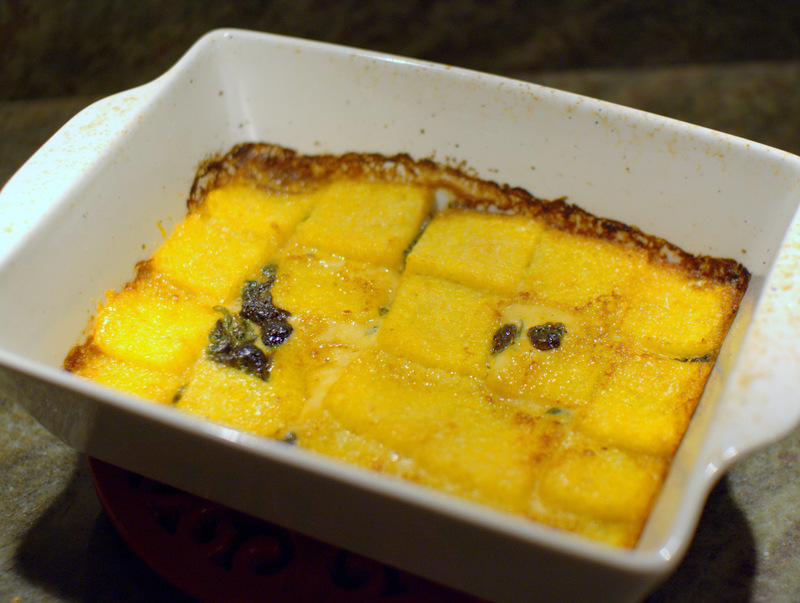 This gratin made with creamy polenta and Gruyere, hides an earthy layer of wild mushrooms and spinach underneath. 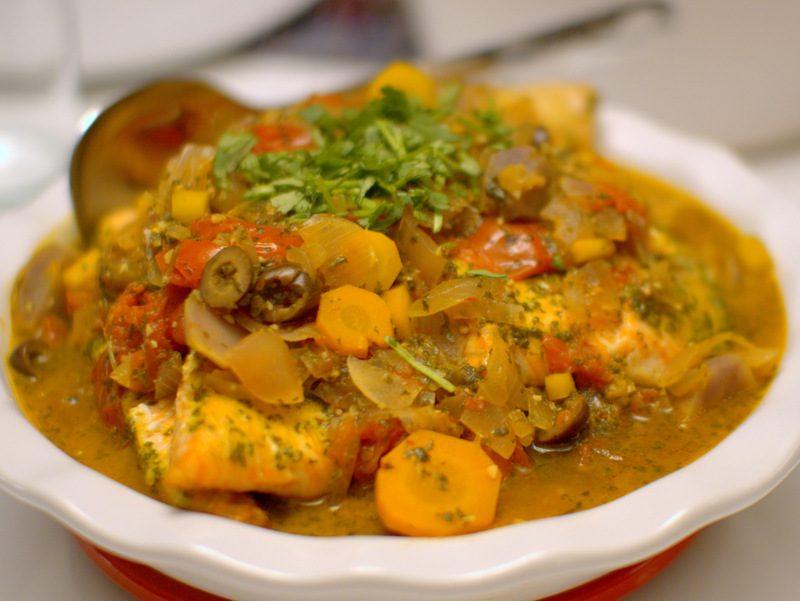 It’s a great accompaniment to fish or meat and would be great on a holiday table as well. 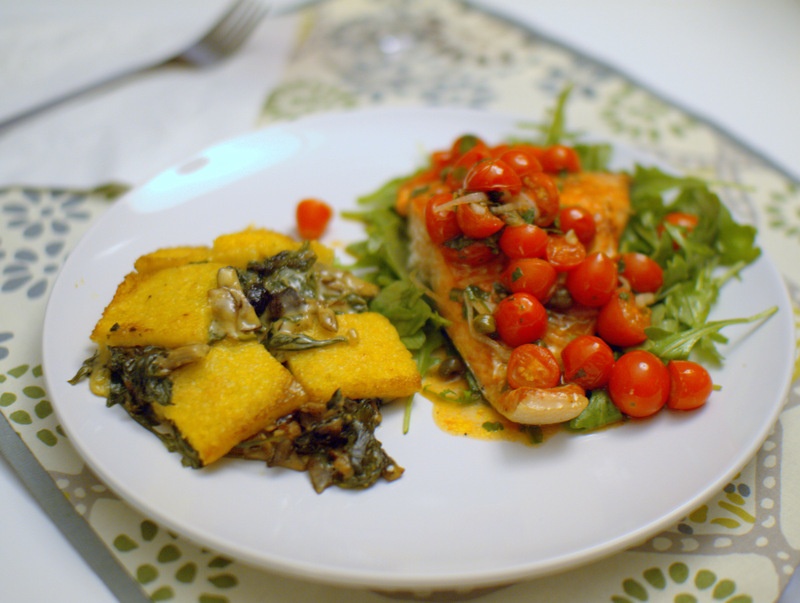 I paired it with my go-to recipe for ridiculously easy salmon that also looks and tastes impressive: Ted Allen’s pan-roasted salmon. 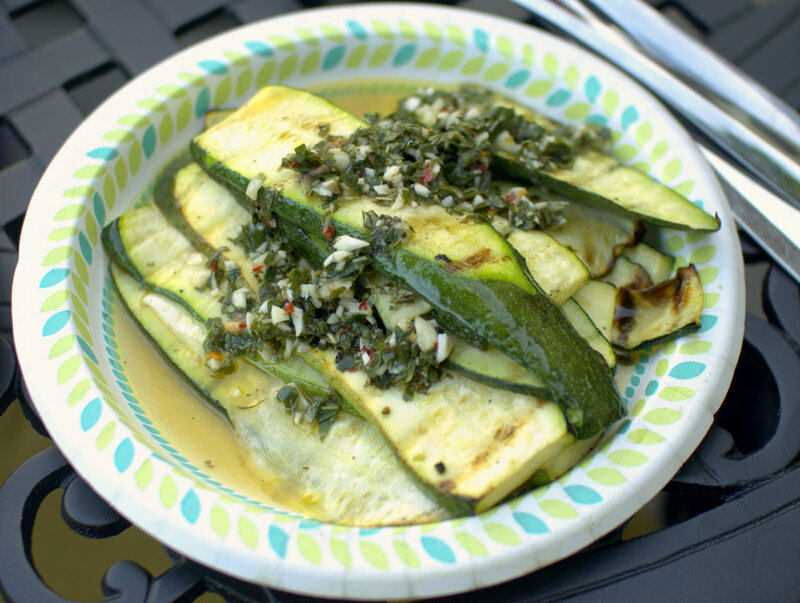 It makes a gorgeous plate and is great on its own or over a bed of arugula (which I lightly dressed with red wine vinegar and olive oil, salt and pepper). 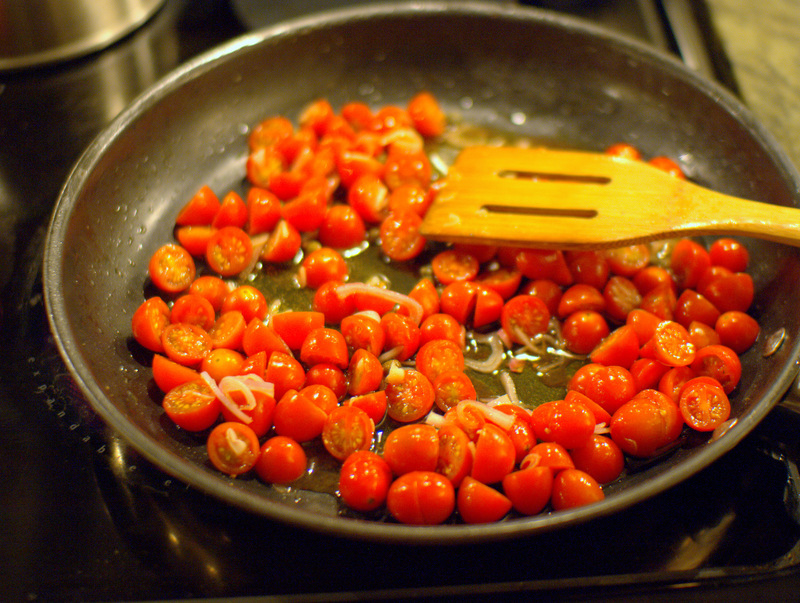 The pan sauce is simply tomatoes, shallots, cumin, red wine vinegar and olive oil – bright and fresh and colorful. Don’t think I forgot about dessert. This soul-hugging pumpkin bread pudding is a scrumptious end to a comforting meal. I used Challah bread for its eggy sweetness, and made the recipe even easier by just using half-and-half for the dairy parts and 2 full teaspoons of pumpkin pie spice for the spices. For that extra squeeze of love, I topped it with a caramel whiskey sauce: just melt down brown sugar in butter and add a good splash of Jameson’s. Ok, I know the last post was a highly opinionated manifesto on the crab cake, so I will keep this crab post short. One other way (of the millions) that we enjoy crab is in this decadent, fragrant, creamy, elegant crab and pumpkin soup. 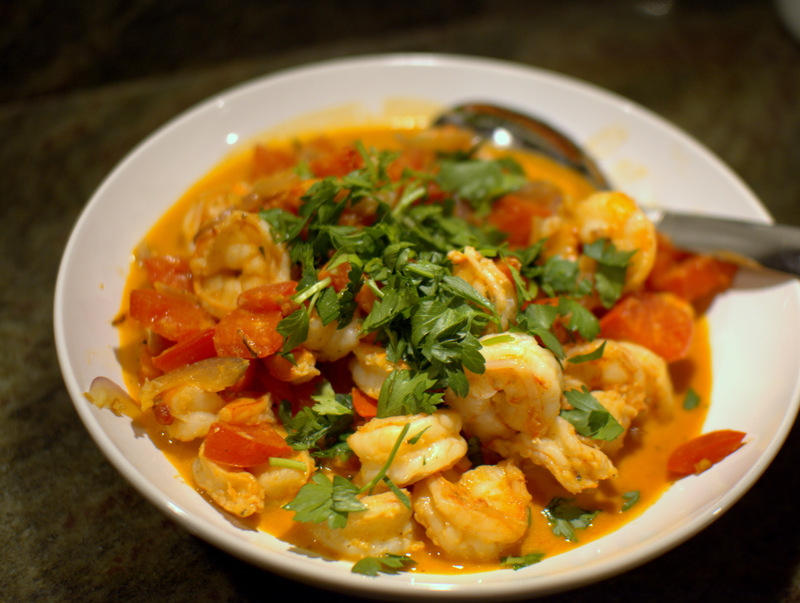 I serve it with some yogurt (+/- chives, lemon) for that creamy tanginess that offsets the aromatics of curry spices so well. 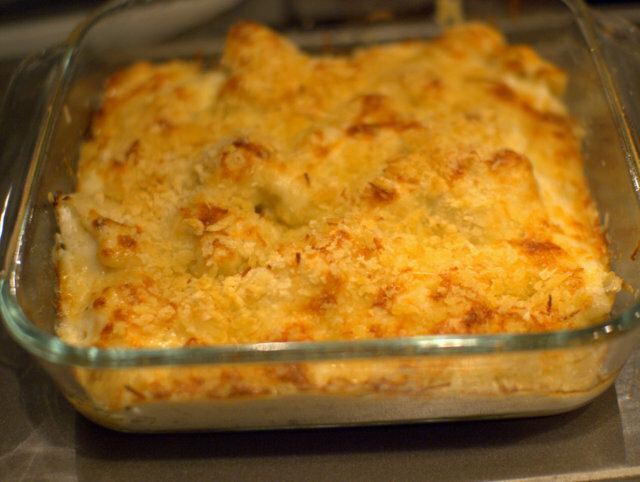 This has made it to the Thanksgiving table for the past few years but it’s also great with crusty bread and salad for a casual dinner. 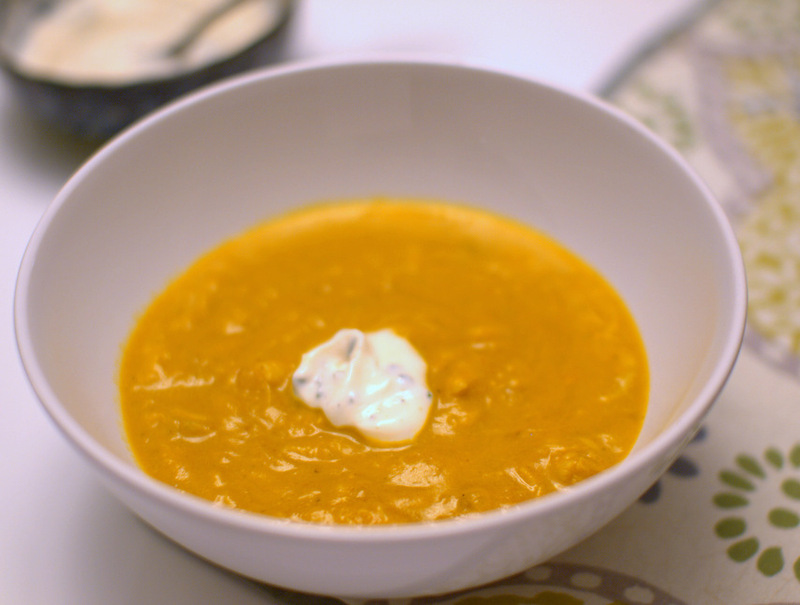 This curried crab and pumpkin soup is easy to make, but tastes like you have been working all day from a secret recipe on a handwritten scroll squirreled away in a trinket box you hide from prying eyes. 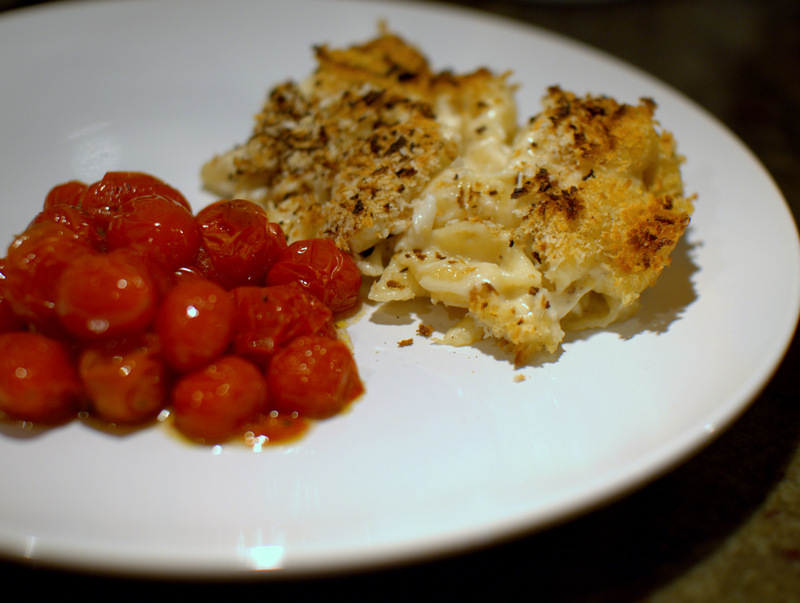 By which I mean, it’s fantastic and people love it and you will look like a culinary genius. Look, I’m from Maryland and I know crab cakes. I remember my first crab boil as a kid and thinking these adults were crazy for all of this work and mess just for a morsel of – ohhhh….this is amazing! I could never be a full vegetarian mostly because I love crab. I’m convinced that crab cakes are appropriate for all special events, and have made it a part of our Thanksgiving tradition in place of turkey. And now that I am living on the west coast, I have learned to love the Dungeness crab. Learn, I say, because it’s definitely a bit different from the Maryland blue crabs with which I grew up. Blue crab is just a but sweeter, a bit more delicate. I am not trying to be inflammatory when I say: I have yet to taste a good crab cake on the west coast. I wasn’t sure if its from the crab or from the technique, so I was skeptical. So I make them myself, and the first time I made a crab cake with Dungeness, I was horrified to watch them crumble apart in the pan. But I’m now a convert, and in the fall I’d been frantically keeping tabs on the news and hoping that Dungeness season will be a good harvest. But on to the perfect crab cake – you can use blue crab or Dungeness, and you’ll be pleased to know how simple they are to make. But be forewarned, on this subject I have many opinions. The first thing to know is that good crab needs nothing, nothing, to taste good. Not sauce, not butter, not lemon, not even salt and pepper. Truly fresh, wonderful crab is perfect on its own, so a crab cake is really just gilding that lily – be judicious. 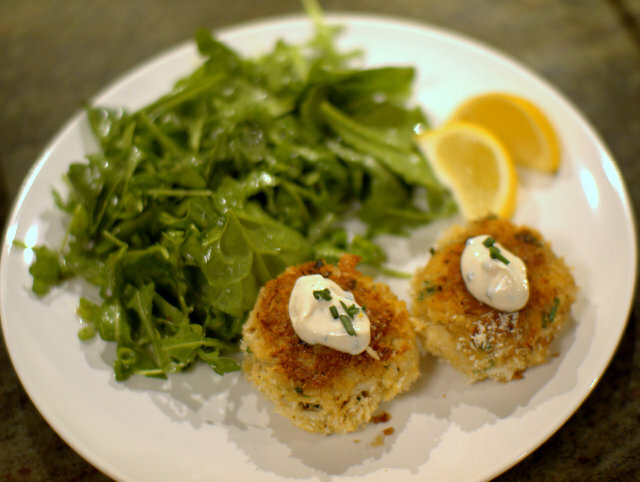 Second, crab cakes do not have filler, they have binder – that is, just enough extraneous non-crab ingredients to hold together the pieces of crab and if that ratio is wrong you have a cake with crab in it and not a crab cake. Third, there is no wrong direction to take the seasoning of a crab cake. I am partial to the Maryland standard of Old Bay seasoning myself, but just using salt and pepper, or a curry powder, or southeast Asian flavors, or tropical flavors is not wrong. Wherever there is an ocean, people on the coast eat crab, so who’s to say what’s correct or authentic? Fourth, form the cakes and let them rest in the fridge for at least 1 hour, then add some more bread crumbs before frying. This really helps the cakes keep their shape when you fry them. 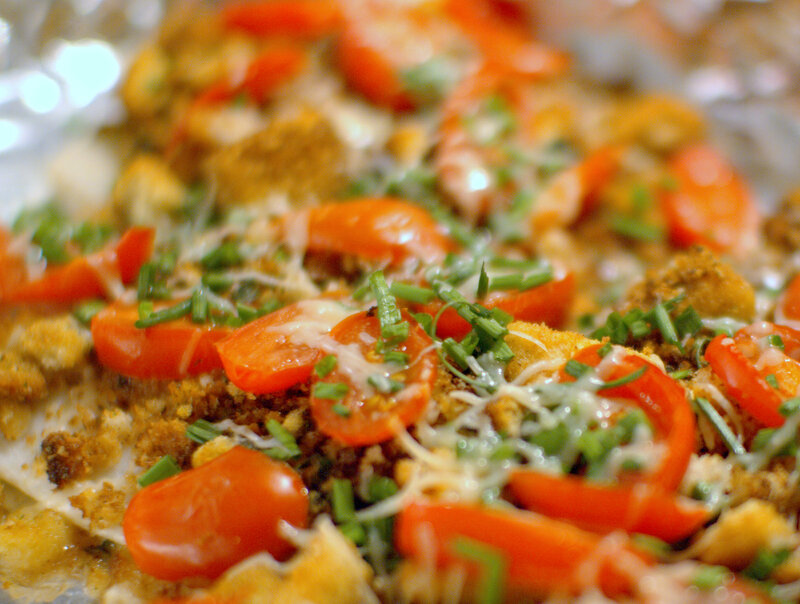 Fifth, use panko bread crumbs. They are light and keep crispy, I really feel that they make a difference. 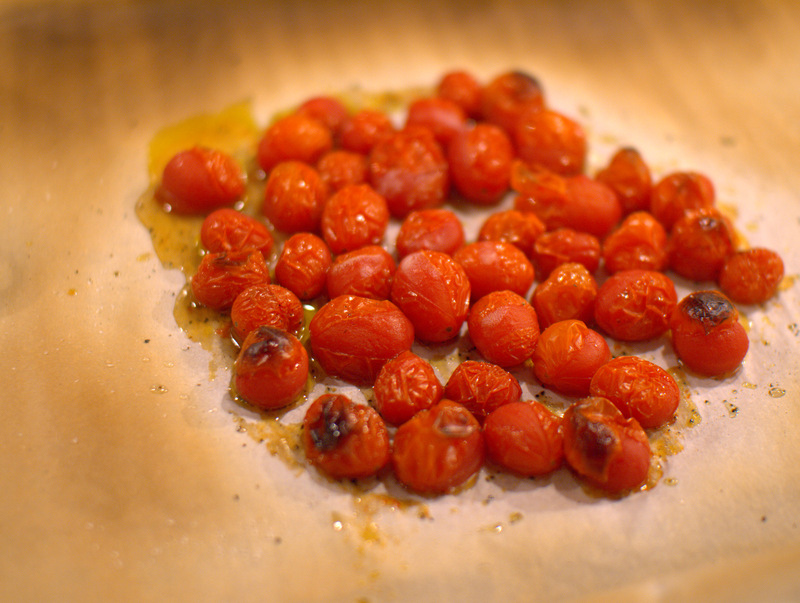 Lastly, if you fry them, you should use a combination of butter and oil. 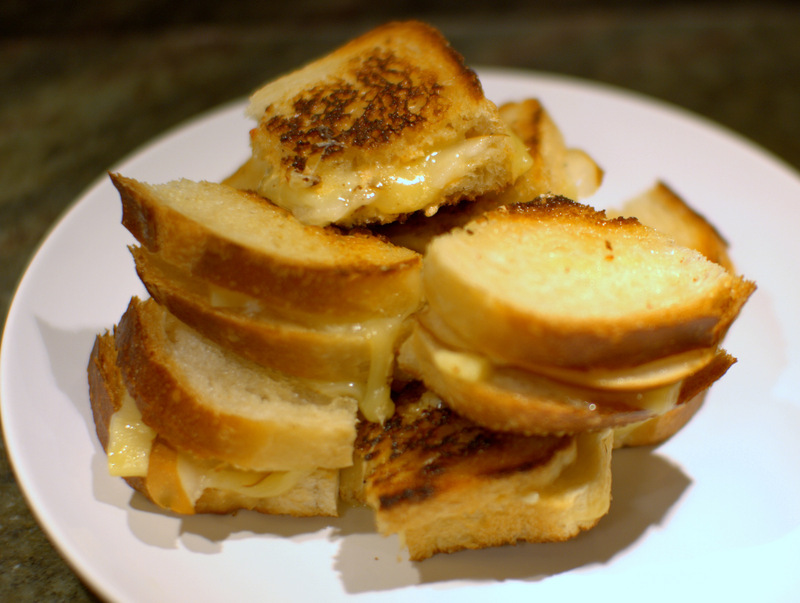 The sweet, salty butter coats the bread crumbs making a golden grilled cheese sandwich-type crust that is a perfect shell for the tender sweet crab inside. So, what do you put in them? Well I usually eyeball some mayo, Dijon mustard, an egg, fresh herbs (chives or parsley) and Old Bay with panko – again, just enough to hold the crab together. This is a close recipe to how I make my crab cakes and (according to my years as a self-appointed expert, for whatever that’s worth! [not much]) how they should taste. 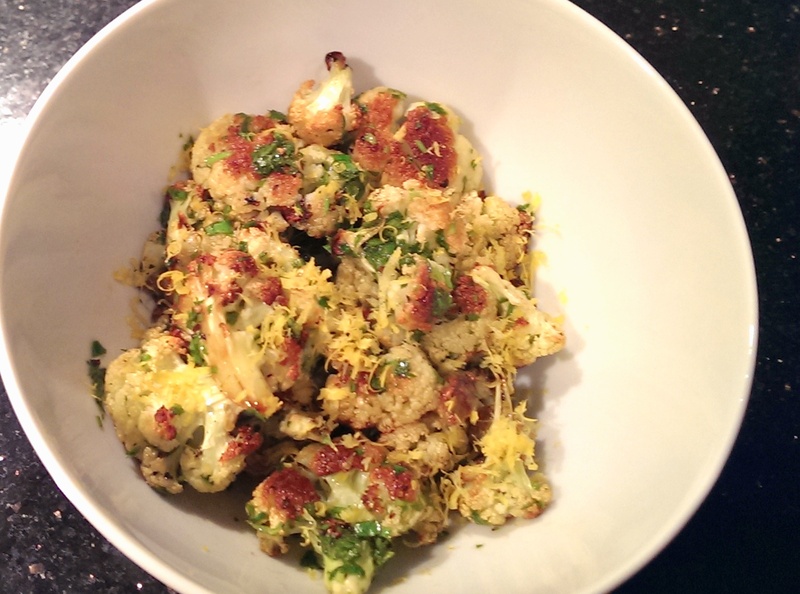 I’ve been known to add some sriracha, Greek yogurt, capers, or curry powder. I do not add any diced, shredded or chopped veggies of any kind to my crab cakes. 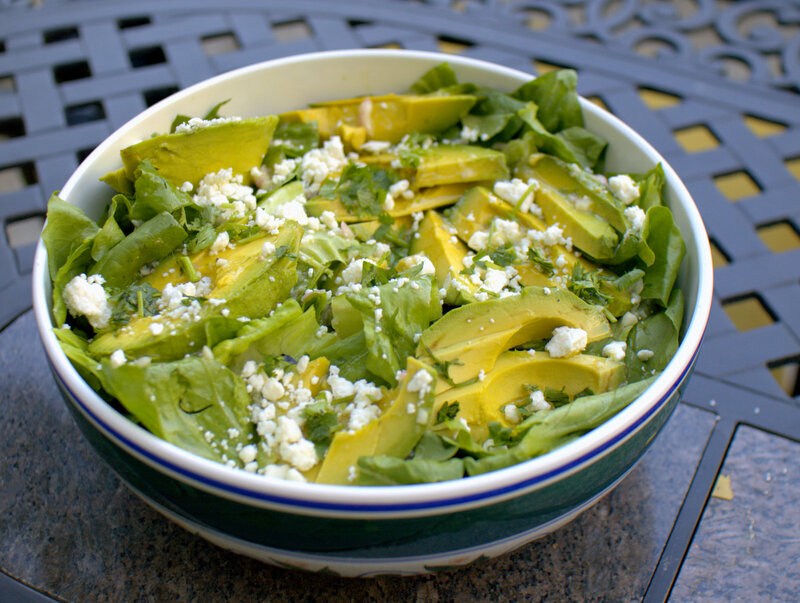 I’m partial to pairing the rich, creamy cakes with a bright, peppery side of arugula with a crisp, astringent dressing for balance (like this champagne vinaigrette). 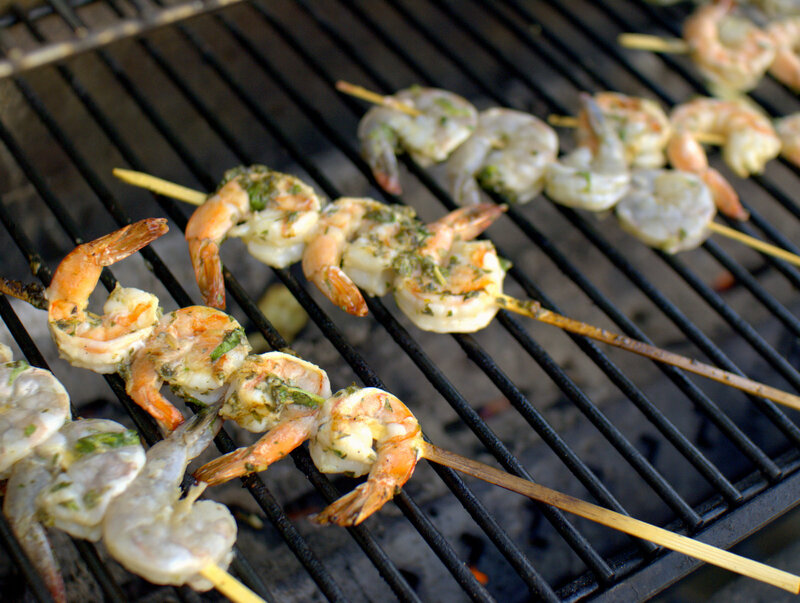 You could also serve them on a (soft, slightly sweet) bun with lettuce and tomato or a slaw. Use whatever sauce you want, but no ketchup! What’s wrong with you? Any other sauce will do, really. Creamy? Tangy? Spicy? Vinegary? Even just a squeeze of lemon for that acid contrast is a delicious finish. 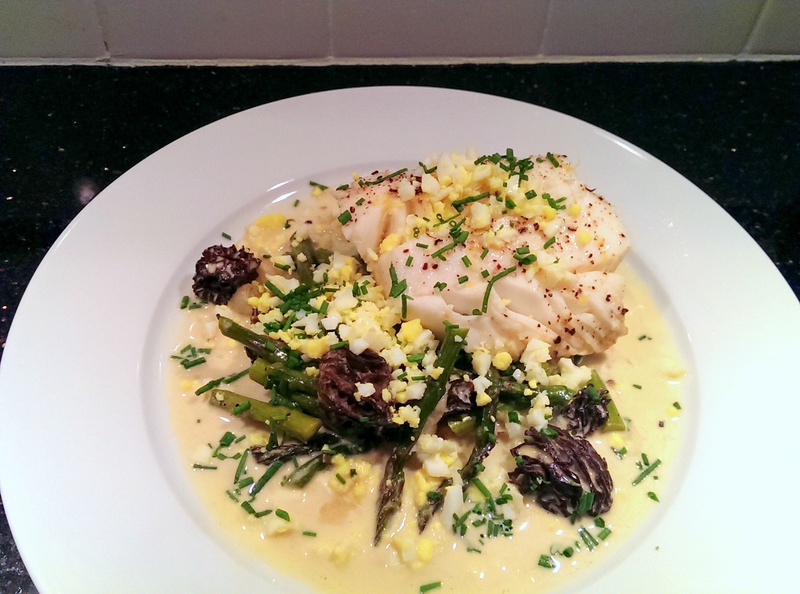 In the picture above I used a yogurt sauce with some lemon juice, lemon zest, salt and pepper, capers and fresh chives. There you have it, my missive on crab cakes (I won’t say the perfect crab cake, because that is subjective, but let’s just say really really essential, standard-bearing, you-can’t-go-wrong crab cakes). And if ever you are on the appropriate coast for crab season, get to cracking those meaty claws and try your first bite without a single additional ingredient – then, give thanks for that good harvest. I love this time of the year. 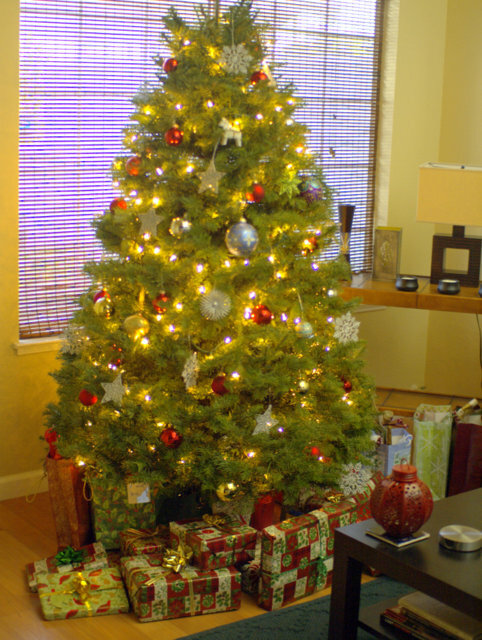 I love the sparkling Christmas lights, the air infused with cinnamon and peppermint, the slivers of shiny gift wrap leftovers, the secretly good embarrassingly bad holiday movies and the bejeweled Christmas tree welcoming you home every evening with its warm glow. I love all of these things but certainly the best part of Christmas is spending it with loved ones (and finding your fingers visiting the cookie bowl…again). Last year was my first time ever hosting and it was ridiculously fun – I can’t wait to do it again. 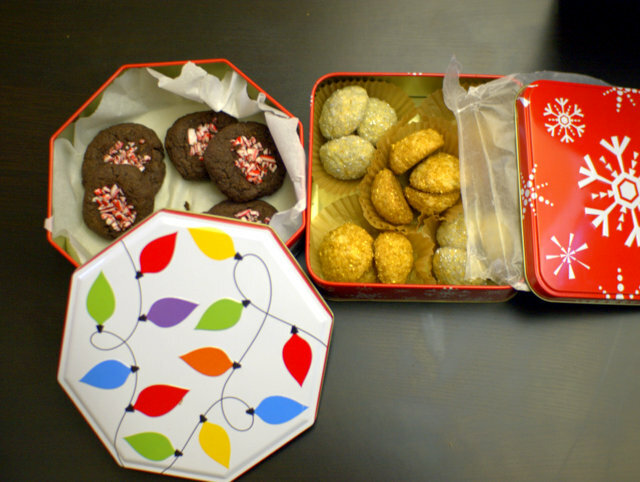 Festive tins with holiday cookies for munching absentmindedly while watching Love Actually for the 32nd time? Check. 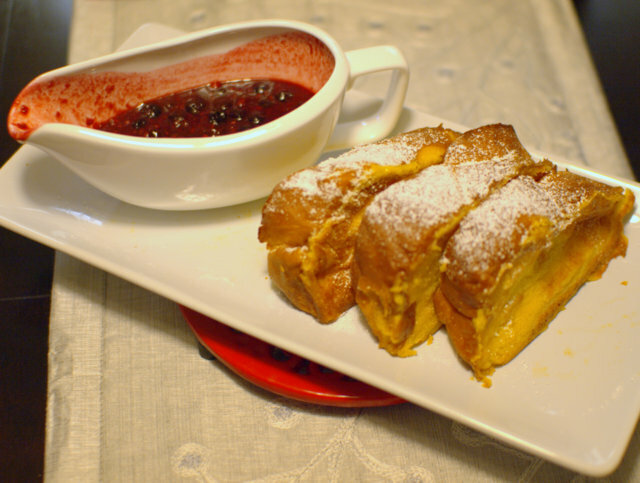 Easy peasy Christmas breakfast with custardy Challah baked French toast and a sweet-tart berry compote that takes a handful of minutes to make? Check. 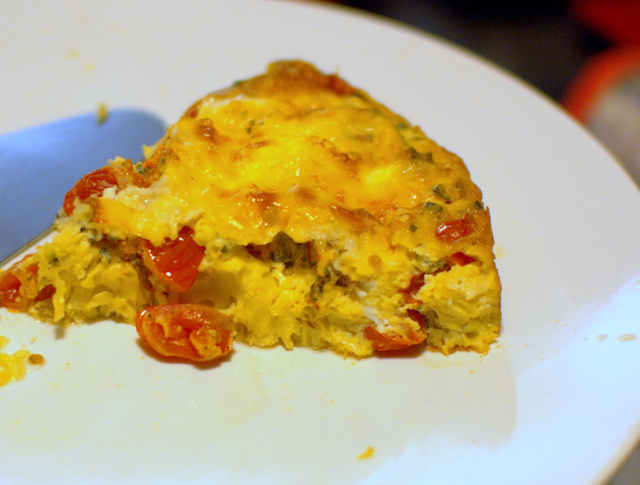 A fluffy egg frittata with a mixture of Gruyere and goat cheese, fresh herbs, and juicy tomatoes that you can whip up the night before and stick into the oven for a lazy breakfast? Check. 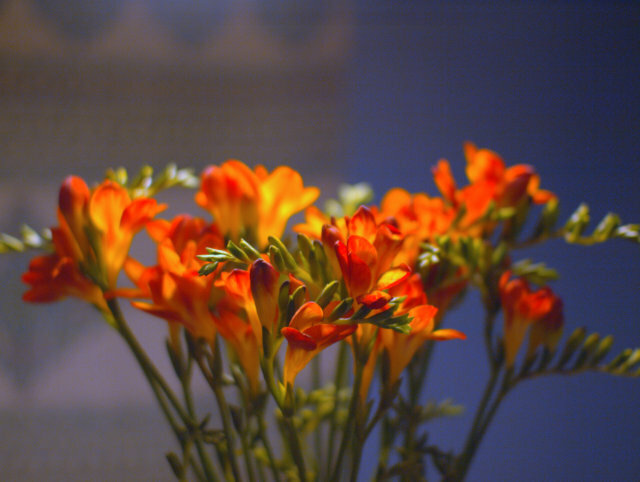 Fresh flowers for Christmas dinner? Check. 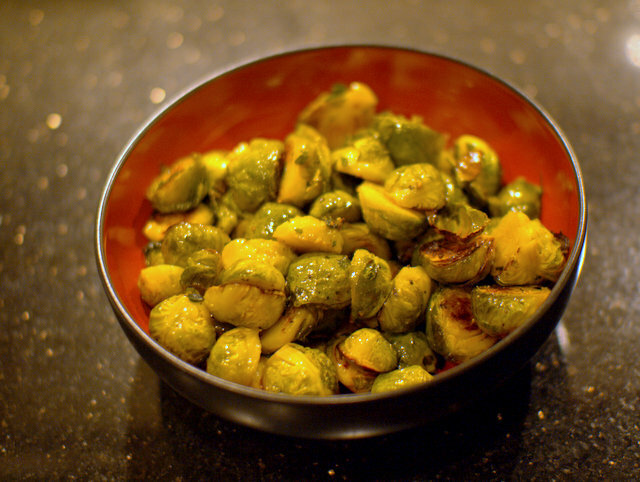 A classic side dish made elegant like savory crisp roasted Brussels sprouts with browned butter (and made even better with fresh sage)? Check. 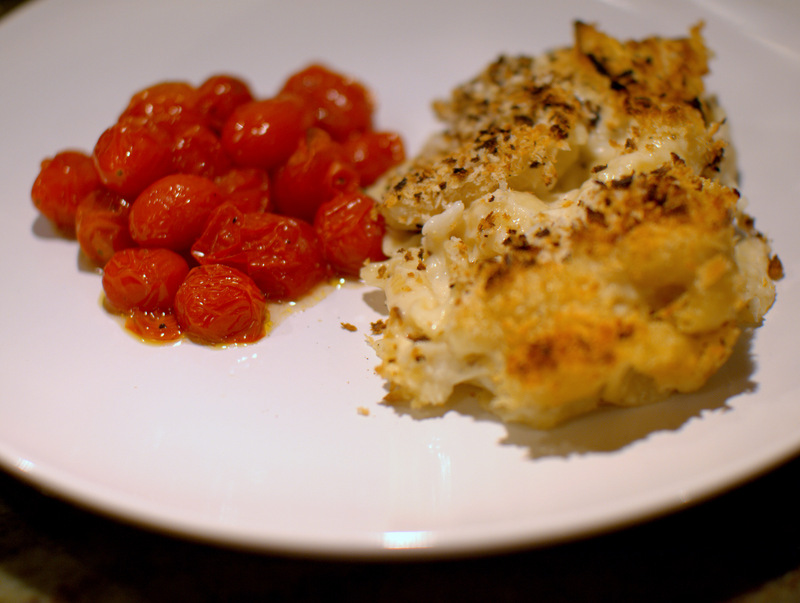 A new favorite addition like creamy crunchy cauliflower gratin bubbling hot from the oven? Check. And, of course, a perfectly roasted glorious bird (thanks Anna…and for the stuffing, gravy, mashed potatoes and pillowy soft dinner rolls!) ready for carving as we sit down to dinner with jokes and stories (and red wine)? Check. We made a Christmas, let’s do it again! Ever since I bought a grill I have had grill fever. I’ve never grilled stuff before so this technique of cooking is a complete mystery to me, thus I try to keep finding excuses to slap something onto the grill and practicing, practicing, practicing. 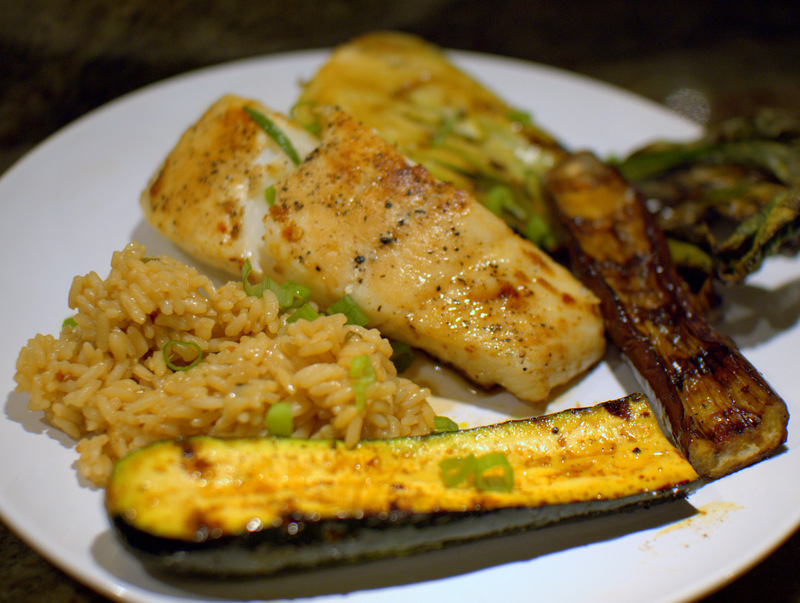 Recently it was a good stretch of stunning weather so I found this awesome recipe for Korean barbecue-style grilled halibut, eggplant, and baby bok choy that looked easy and delightful. 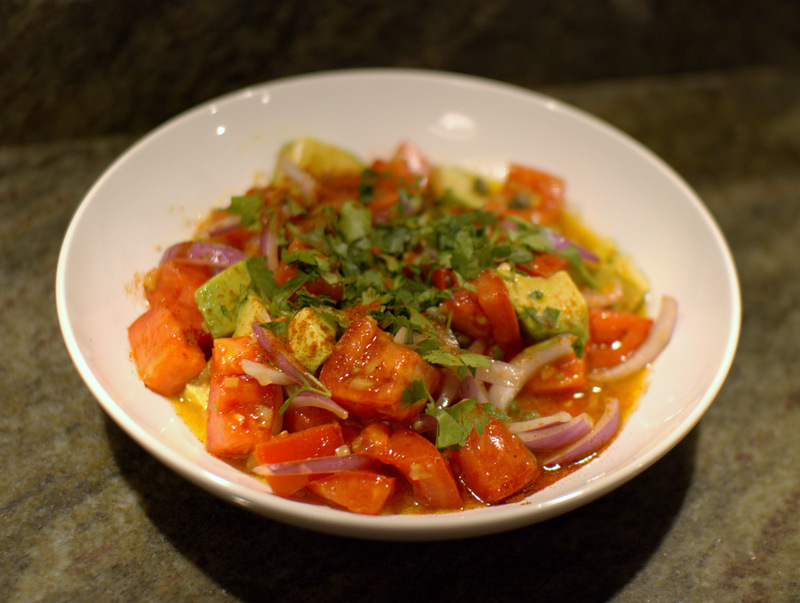 Of course, the evening of said grilling experiment was the foggiest, coldest, most miserable night in all of San Francisco summers and I was outside cursing the grill and the price of halibut and the sideways rain – but in the end, I’d have to say it turned out pretty great. First off, I really don’t recommend grilling bok choy or baby bok choy as it became bitter and dry. 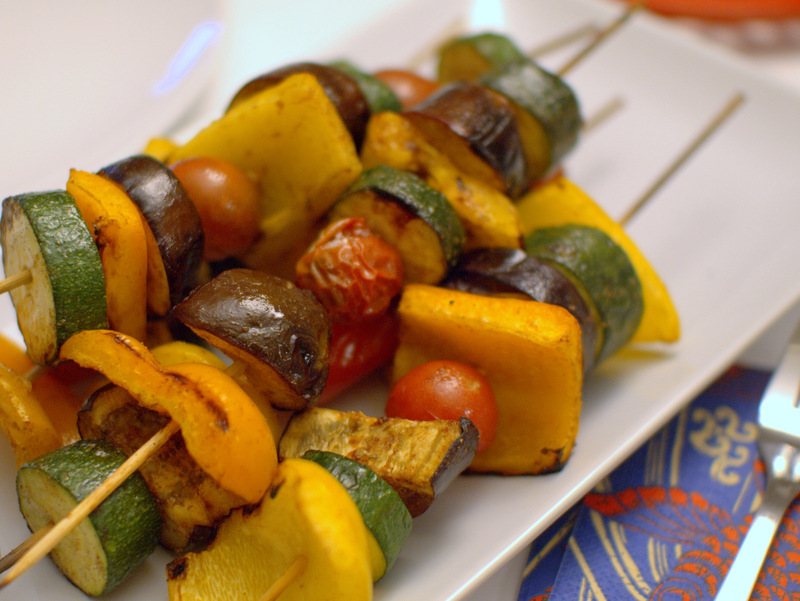 However, I love eggplant and nothing is better than a the smokiness and smooth texture of grilled japanese eggplant. I also added some zucchini and they turned out quite moist and nicely charred. Halibut is kind of pricey so I’m pretty sure that any kind of firm white fish would work great, and I suspect even salmon would as well. 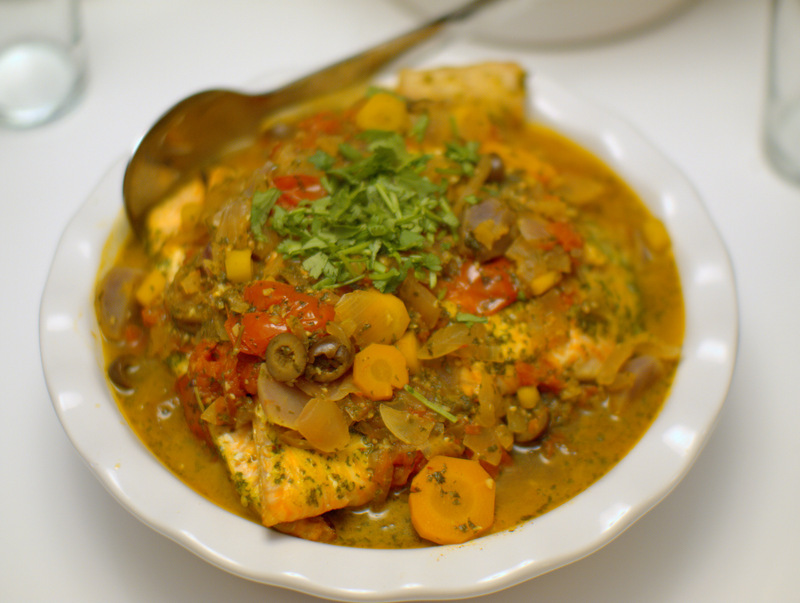 The fish and veggies were perfectly complemented by the wicked delicious sauce/marinade. 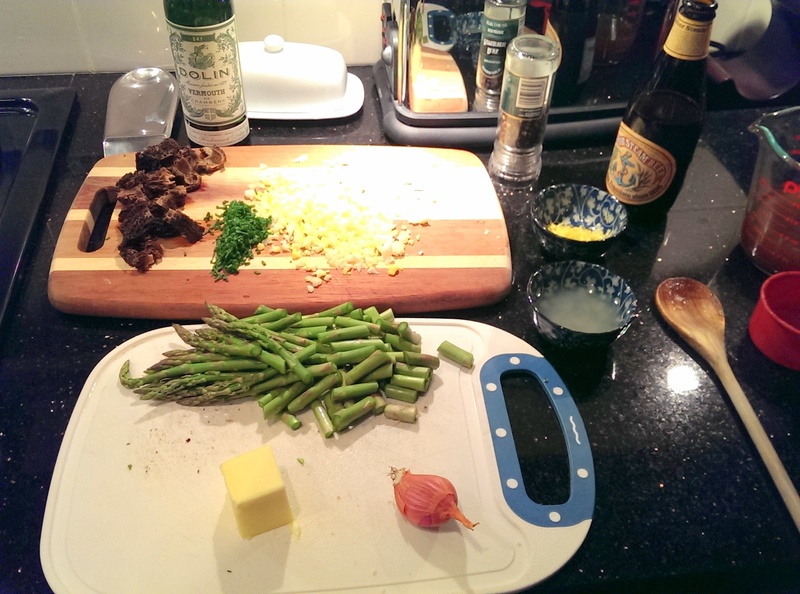 The marinade is ridiculously easy and just so umami-ful. Because I had it on hand, I substituted gochujang for the fresh chili which probably made it more Korean but added that great sour layer to the flavor profile. I served everything with sesame rice (rice, sesame oil, sesame seed, green onion and soy sauce) and we were quite stuffed – this recipe makes a ton of food! 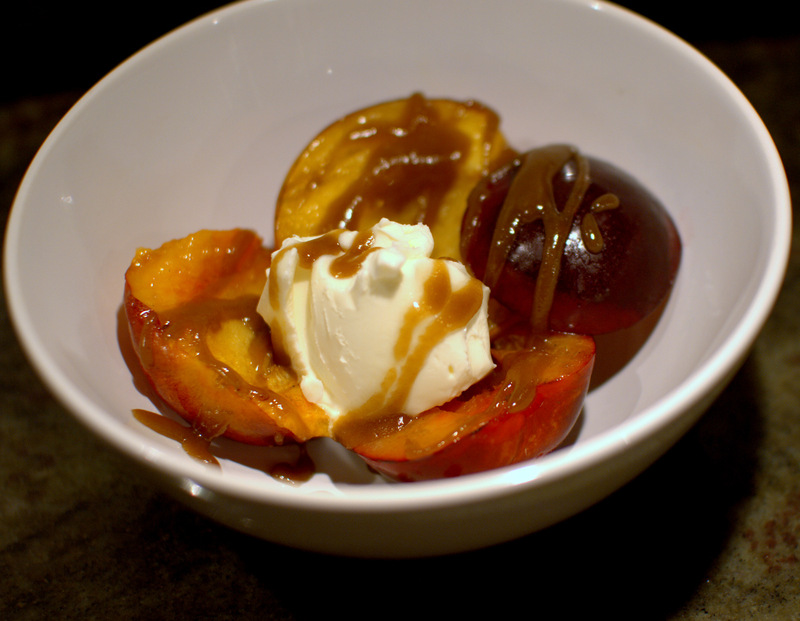 For dessert, (I sent B out in the rain to the grill for this…..yeah, I punked out) we grilled stone fruit topped with a dollop of mascarpone and drizzled with butter rum sauce. 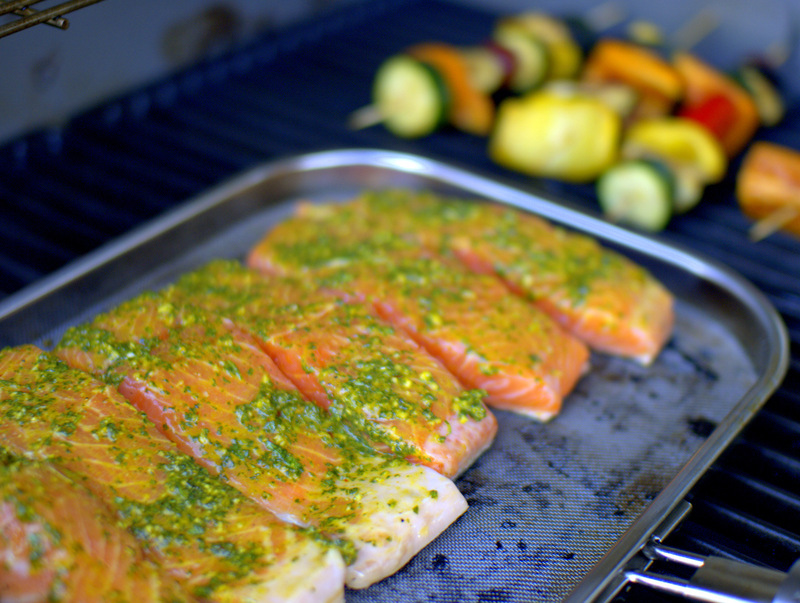 Simply grease the grill grates and the peaches/plums with butter or canola oil or Pam. 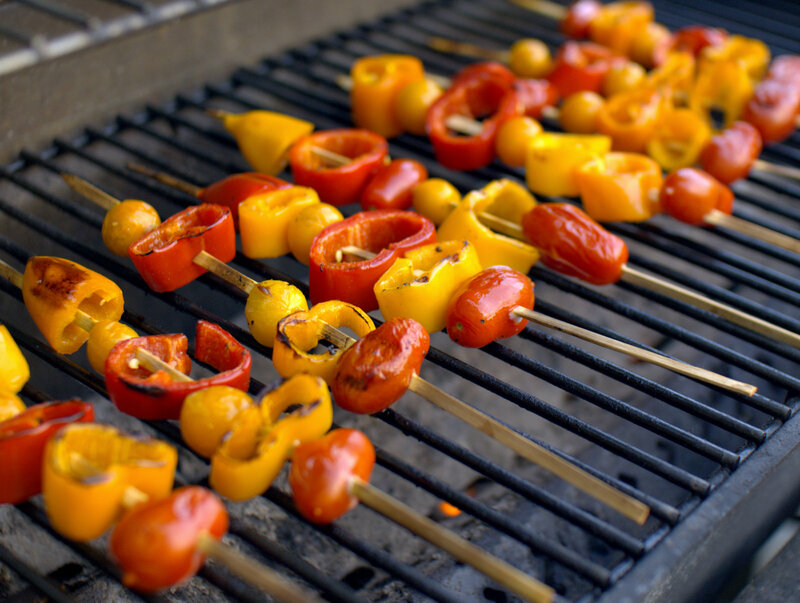 If the fruit isn’t ripe enough you can sprinkle the cut sides with brown sugar but be sure to monitor them even more carefully on the grill as they can burn. 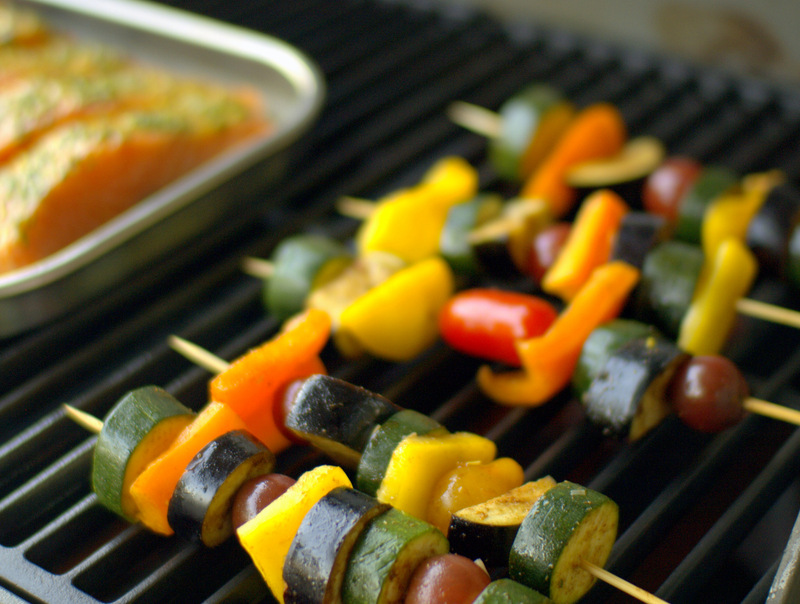 Then, grill the fruit cut side down for a few minutes and turn over for 2 minutes. To make the butter rum sauce, melt equal parts butter and brown sugar until the sugar is dissolved. Add a bit of dark rum and a splash of vanilla. 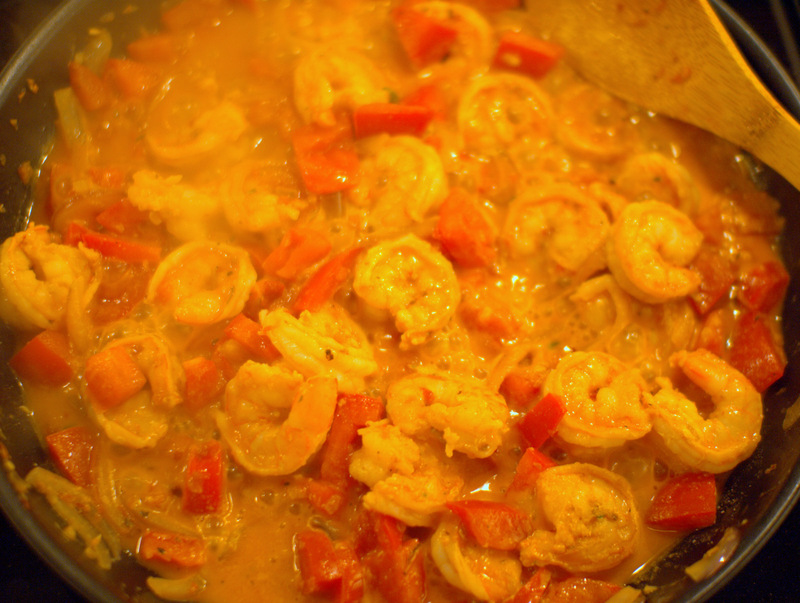 The sauce will bubble up and smell freaking amazing – let it simmer for a few minutes, stirring, until its slightly thickened. 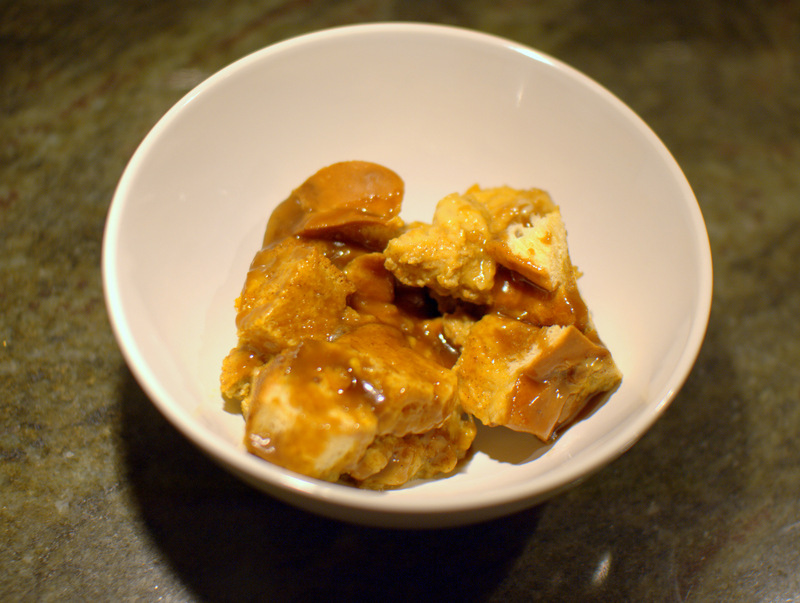 Let it cool (unless you enjoy a burned tongue) and it will form a luxurious caramel. Place the grilled stone fruit to a bowl, add a spoonful of mascarpone and drizzle with warm butter-rum sauce. Each spoonful is sweet, creamy, tart, warm and guaranteed to make you want to give your grill another go – even in the dampest, chilliest of nights.